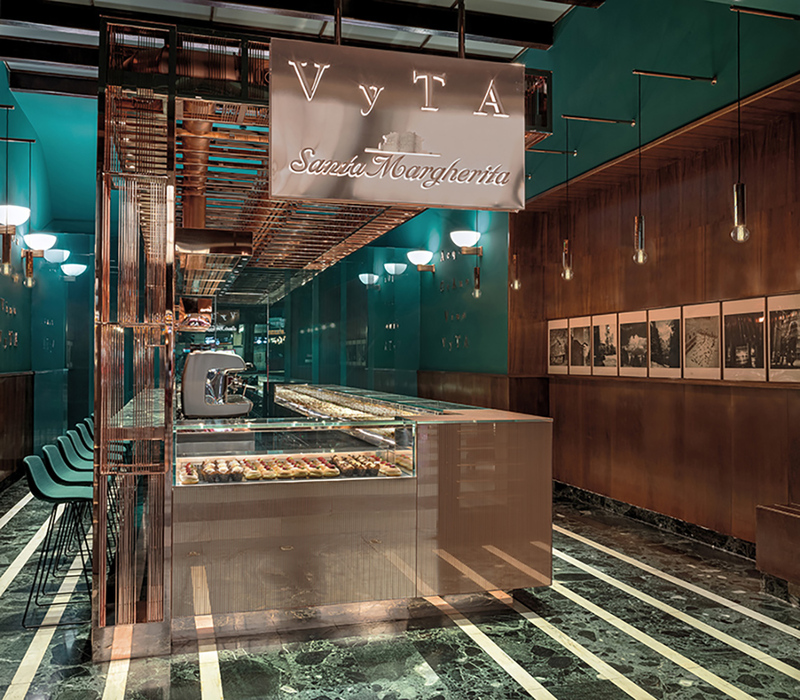 Vyta Santa Margherita bakery at Florence’s historical Santa Maria Novella railway station is a great example of how historical and modern architectural esthetics can not just coexist but enhance each other. 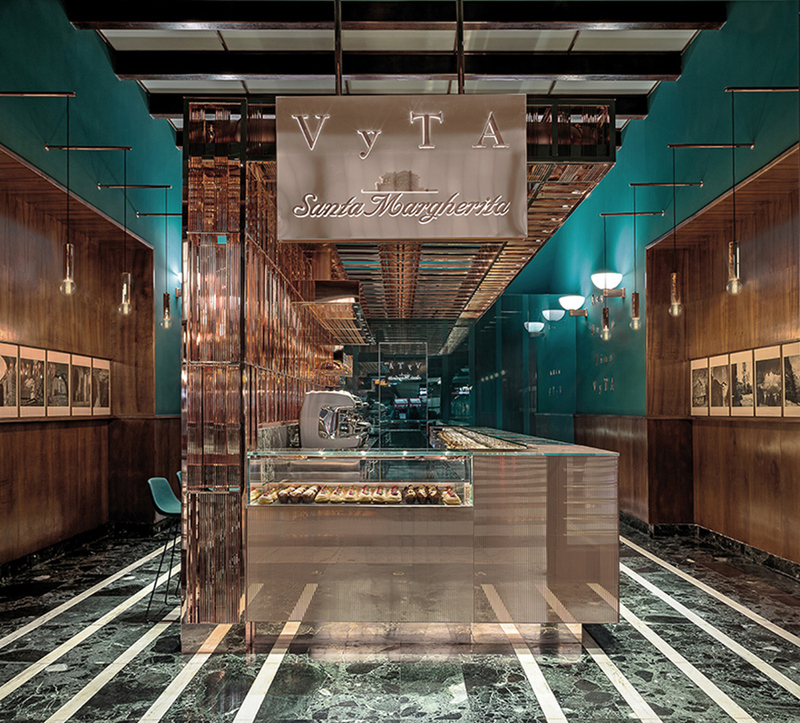 The 76 square-meter (6,458 sq.ft.) 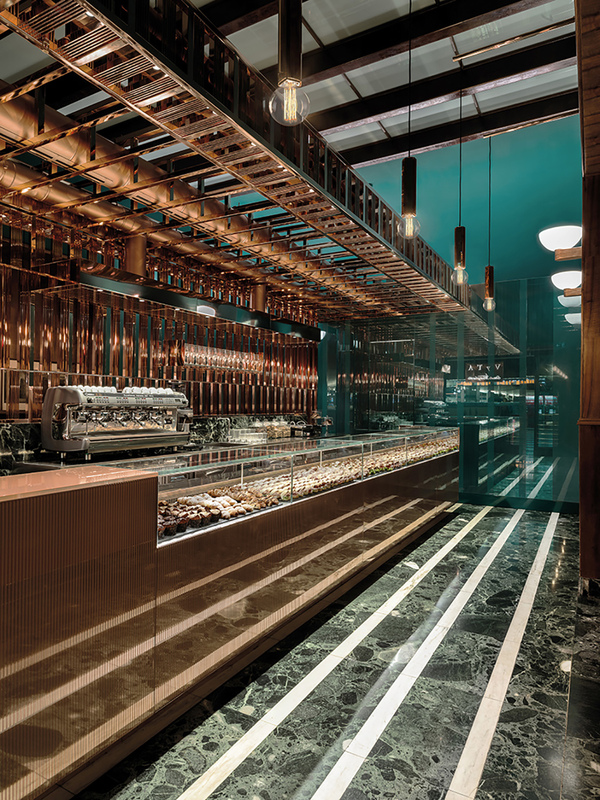 café and bakery, designed by Rome-based Daniela Colli use metal, glass and marble to echo the main feature of the station, the large entrance hall or sala di attesa with its glass and steel roof structure. The listed historic station, opened in 1935, is an icon of the mainly Italian rationalist architecture and it was created by the Tuscan group of architects headed by Giovanni Michelucci. 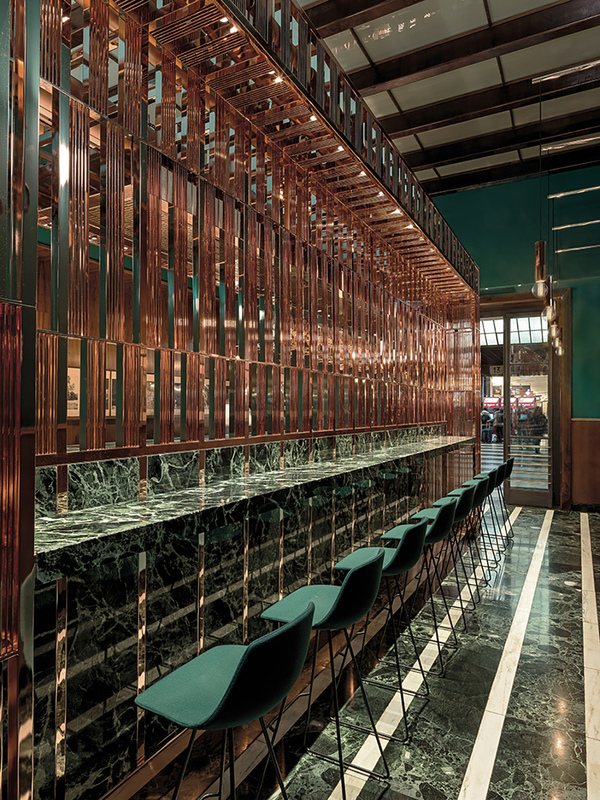 Colli took full advantage of the masculine vibe of the building. 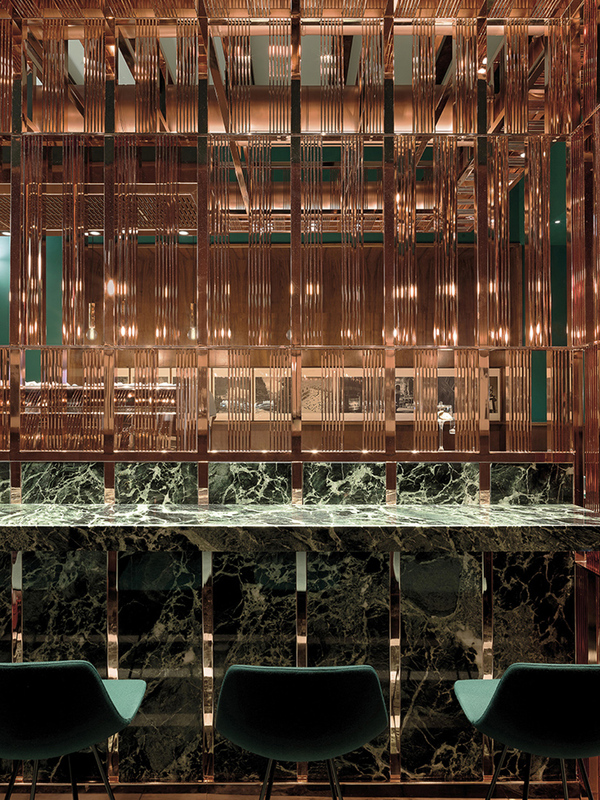 She used the dark-green traditional Italian Verde Alpi marble as her colour and material cue, but included lovely polished golden-pink copper to soften the impact. 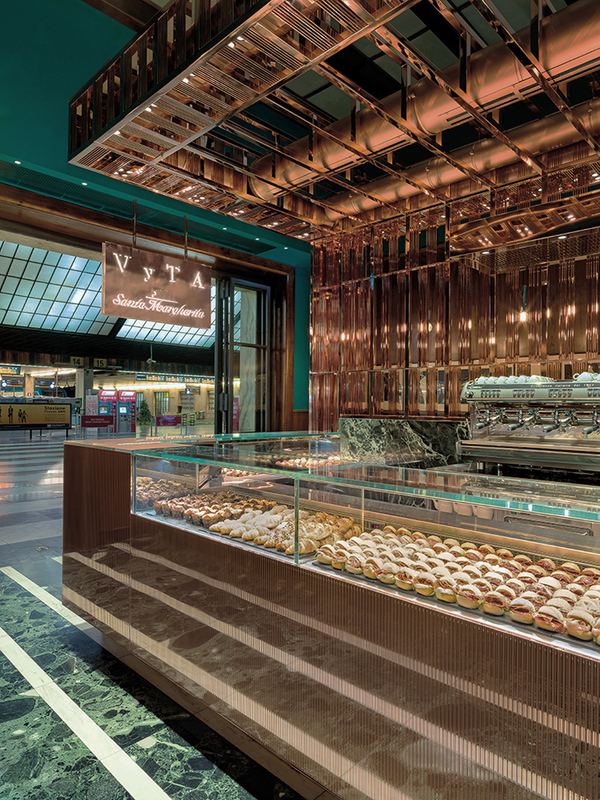 With this, she managed to avoid the brutalist coldness of rationalism in architecture and created an inviting stop for an espresso and a fresh on-site baked pastry. Tuija Seipell.